Few places on the planet offer the serene hush offered in Labyrinth Canyon. 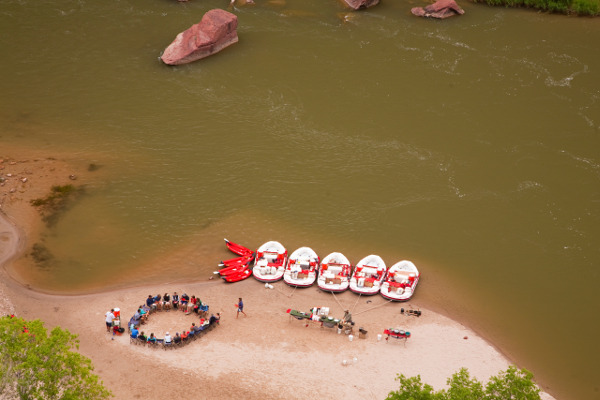 A 4-6 day stretch of the Green River through tranquil flat-water gives your mind a chance to unwind from the rush of your life back home. And on this specialty stargazing trip, there is the added benefit of a star-expert coming along for the ride. Spend your daytime hiking Trin-alcove, Bow-knot Bend or some other fantastic side excursion; your afternoons floating through red-rock wonder and your evenings letting your eyes re-adjust upwards in one of the darkest parts of the night sky left in the lower 48 states. With the naked eye or binoculars, your guides will lead you through an intimate encounter with the universe while feeding you delicious meals to recharge you from the hiking and taking care of pretty much any creature comfort along the way. Situated due north of Canyonlands National Park, Labyrinth Canyon has been part of Wilderness Study Areas for decades. This relatively untapped stretch of the Green River provides 68 miles of abundant arid beauty and wide open spaces for night sky viewing. 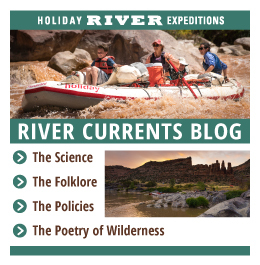 One of the advantages of a river trip is the flexibility of the daily itinerary. It can vary widely from one trip to the next based on group desires, Mother Nature, and courtesy for other groups on the river. 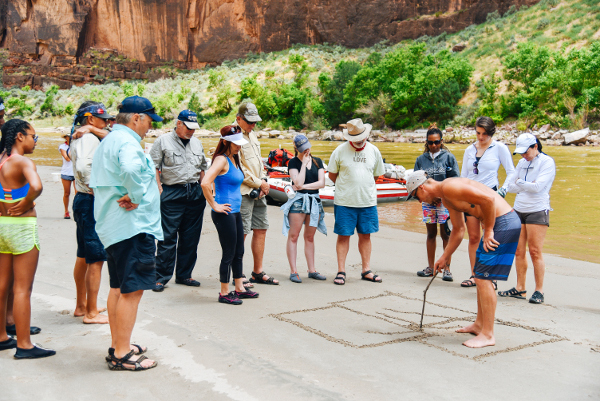 This typical itinerary illustrates a trip through Labyrinth Canyon on the Green River. This is one of the most spectacular Canyons on the Colorado Plateau system. 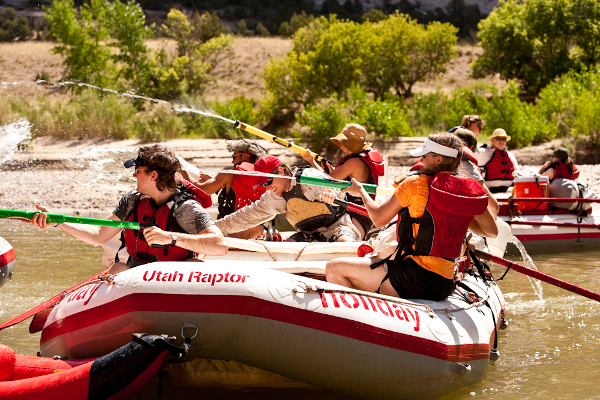 Day 1: Meet group at Holiday River Expeditions headquarters in Green River, Utah. The put-in marks the spot that was once used as a crossing for explorers and settlers traveling on the Spanish Trail. The river is peaceful as it winds through the lowlands past Dellenbaugh Butte and Crystal Geyser. 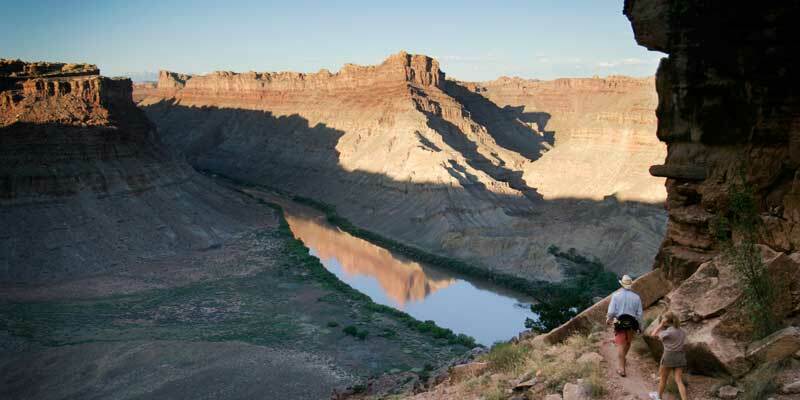 Day 2-5: The River quietly enters Labyrinth Canyon and with each mile the surrounding cliffs become more dramatic. A hike up Trin-Alcove reveals a menagerie of desert wildlife. A panel of Indian petroglyphs can be seen just off river. Inscriptions on the canyon walls mark the passage of French trapper Denis Julien. Vistas mark the majestic hike over Bowknot Bend. River Register reveals the signature of many other early river runners. 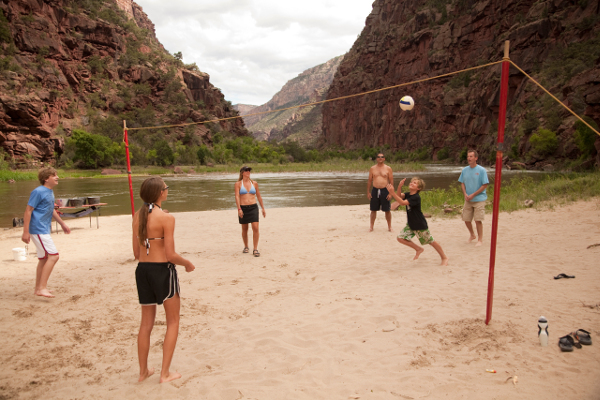 Day 6: Take out at Mineral Bottom will take you through redrock canyons on switchback roads. We were with Bonnie Carol's Moons & Tunes on June 8-12 Don't know how you could have done anything better - great trip! 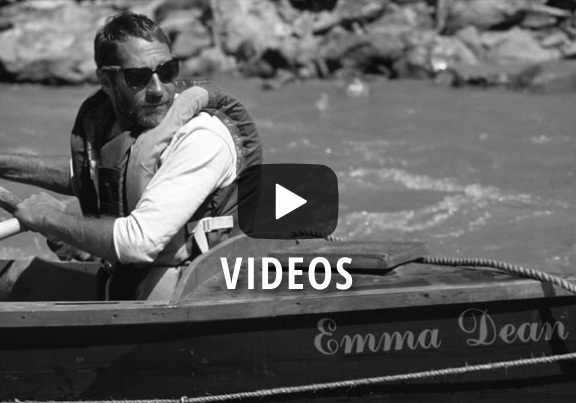 This was our first raft trip, so we didn't know what to expect. We were absolutely thrilled with all aspects of the trip. Our guides were knowledgeable, professional and fun, as well as being awesome cooks! It was a great experience. Thanks, Holiday! I can’t promise you’ll rise before sun up just to see the first light on the canyon walls. I can’t promise you’ll hike further up a side canyon than even your guides have ever been, then slide through a rapid like cream cheese on a bagel. I can’t promise a storm so thick you can’t see the other boats, with hail so hard it hurts and enough water to bring cascades free falling hundreds of feet from the canyon rim to the canyon floor, then fill a wash, that hasn’t felt water in years, to bank full. I can’t promise the sun will break through or a rainbow downstream. I can’t promise you Ravens, Hawks, Herons, Eagles, Avocets, Otters, Beaver, Bobcats, Big Horn, Bears, and Mountain Lions or even their tracks. I can’t promise a camp of camaraderie, laughter and praise for a day well spent. I can’t promise you’ll fall asleep to a chorus of frogs and cicadas under a sky so dark you can see Andromeda, only to awake in a few hours to see the moonlight creep down the sides of the canyon just as the sunlight did so long, long ago.